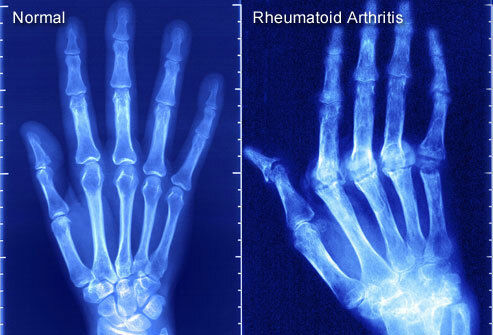 RA is an auto immune disease that results in chronic systemic inflammatory disorder that may affect many tissues and organs, but principally attacks flexible synovial joints. Arthritis of joints involves inflammation of the synovial membrane. Joints become swollen, tender,& warm and stiffness limits their movement, with time multiple joints are affected. Most commonly involved are small joints of the hand, feet and cervical spine but larger joints like the shoulder and knee can also be involved.Synovitis can lead to tethering of tissue with loss of movement and erosion of the joint surface causing deformity and loss of function. Increased stiffness early in the morning is often a prominent feature of the disease. As the pathology progresses the inflammatory activity leads to tendon tethering, erosion and destruction of the joint surface, which impairs range of movement and leads to deformity. In Ayurveda the term “ AMA” denotes unripe, immature,& undigested. According to vagbhata due to the hypo functioning of ushma(agni) the anna ras undergoes fermentation and putrification.the vitiated doshas along with ama causes Amavata. Langhana(fasting) –complete absence of food or by giving preparation of mugda,yusha, laga manda ,peya kulutha. Vasti—vaiutaran vasti,dashamoola kwatha vasti,erandamoolayapan vasti are useful in releiving the pain. Fast food ,uncoked food,salty,spicy, oily food. Daytime sleeping,vegavadharana(stopping of natural urgers).